If you wish to refer a patient to us call the practice today on 01344 482 882 download our Referral Form or fill in our online form. Periodontics is one of our specialities at CrownWood Dental. Periodontics is the branch of dentistry concerned with the health of the gums and the bone surrounding the teeth. Periodontal diseases are caused by bacteria which build up around the teeth and under the gums and result in gum inflammation, bone loss and eventually loss of teeth. Most cases of gum disease are treated by cleaning underneath the gums using local anaesthetic. This treatment is typically carried out over 2-3 visits over a period of around a month. Surgical treatment is sometimes required for the most severe cases. In certain situations it is possible to grow back the damaged periodontal tissues (regeneration). Surgery can also be carried out to improve the appearance of an uneven gum line or gummy smile (crown-lengthening), to treat gum recession/shrinkage (mucogingival surgery) and to allow replacement of lost teeth with dental implants. 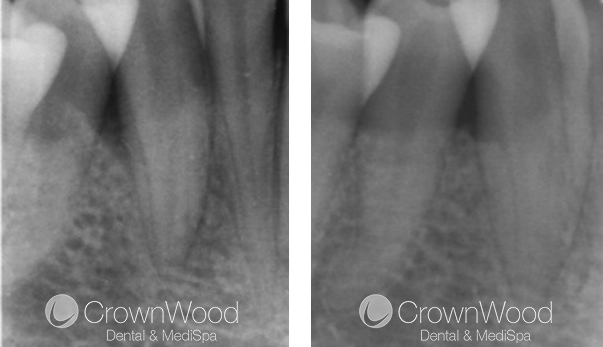 Periodontal referrals at CrownWood Dental are carried out by Dr Raman Bhardwaj. Raman graduated from Bristol Dental School in 2005. After completing his vocational training, he worked as a Senior House Officer in Oral Surgery, Restorative Dentistry and Periodontics at various institutions including Bart’s and the London School of Medicine & Dentistry and Birmingham Dental Hospital. As a Specialist in Periodontics, Raman’s treatments include the non-surgical and surgical management of gum disease, mucogingival surgery for treatment of gum recession, crown lengthening surgery, periodontal regeneration, the placement of dental implants and treatment of implant complications. 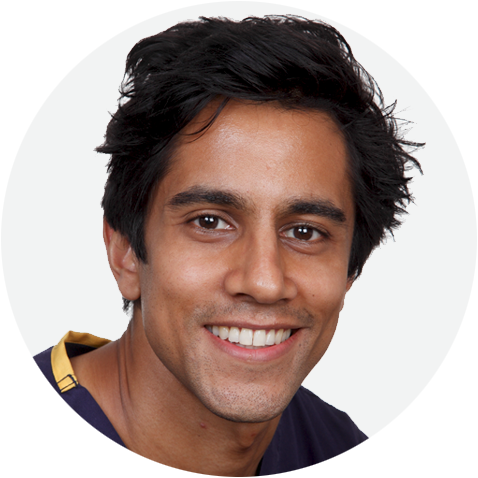 Raman has a very calm and patient manner and listens to patients’ concerns, ensuring they are fully informed of the treatment plan and their options. In his spare time, Raman loves to travel and enjoys climbing mountains. If you have a patient who needs Periodontal treatment, please fill in our Online Referral Form or download our Freepost Referral Form. We also welcome walk in and self referrals please ask for Dr Raman Bhardwaj. Our Referral Brochure and Form are available to other dentists wishing to refer a patient to one of our specialists.